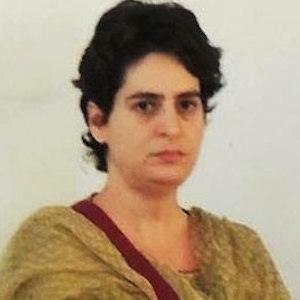 Indian politician who has assisted the Gandhi family's campaign and governance. She received a bachelor's degree from Jesus and Mary College, Delhi University in psychology. She claims she never joined politics, but rather served the people. She married Robert Vadra in 1999 and had two children named Miraya and Raihan. She is the daughter of deceased Indian politician Rajiv Gandhi.